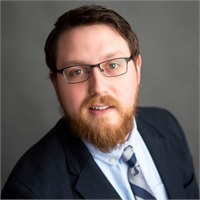 Hayden Freeman was the flagship student to graduate from SNHU with a bachelors in financial planning working with the professors and staff to make the program what it is today. His goal is to have all clients feel positive towards their future as they continue to grow both personally and professionally. Hayden enjoys spending time with his fiancé, rescue dogs, and a niece and nephew. -Worked as a retirement representative with the second largest retirement recordkeeper in the country. -My goal is to have my clients feel positive towards their future as they continue to grow professionally. After meeting with me I want a person to feel better than when they came in and that they can trust me as their agent.